If my pile of unwashed makeup brushes is anything to go by… I loves a good brush. The better the brush, the stronger the makeup game, surely? The Look Good, Feel Better powder brush. I just don’t think I’ve ever felt a brush so soft, and it’s one of those brushes I want to stroke my face with all day. 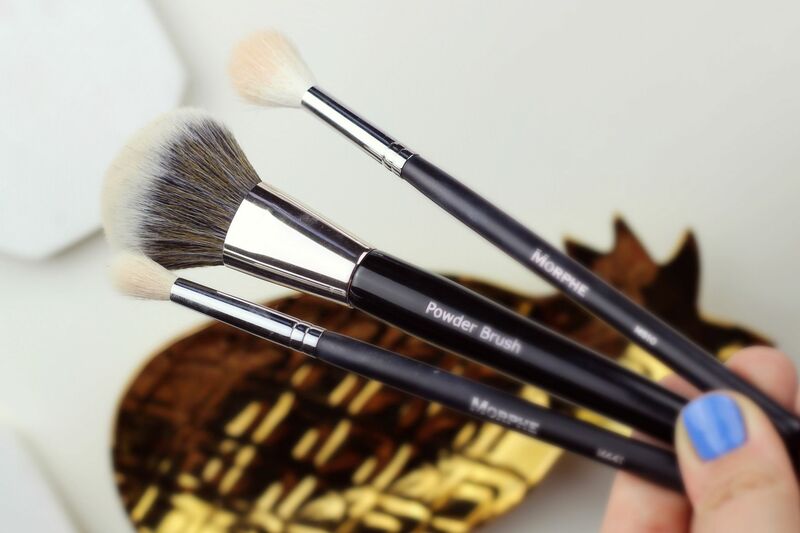 I like the powder brush especially, because I find it packs on loose powder in the nicest way – you can press the product into the skin so it melts in really well and it doesn’t look too heavy. Then, I have two picks from Morphe. The M441 is similar to a MAC 217, but works *whispers* even better. It’s the best brush at applying a matte shade to the crease of the eyelid and it blends everything out so well. The M510 is going to be the best brush you ever use to apply highlighter. Buy one right now, and your cheekbones will thank me later. What are your favourite brushes?